9 reasons why you should encourage sports for kids now! Did you know that girls who play sports are more likely to have a positive body image and higher self-esteem than those who don’t? They also are less likely to be overweight. 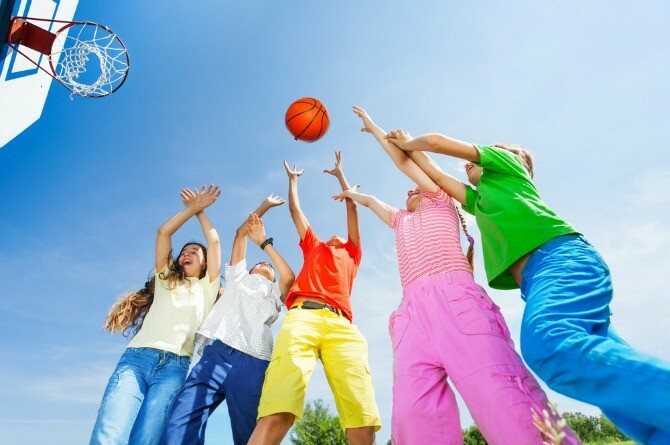 Yes, experts suggest that sports for kids should not only be encouraged for fun, but it is also a confidence booster. Playing a sport improves blood circulation and the physical well-being as well. Sports for kids teaches them how to cope with success and failure, the value of hard work and resilience, and the ability to be able to set goals and work towards them. Playing a sport also offers exposure other than just physical benefits. It typically help kids academically and socially as well. “The benefits are the same whether or not your child actually excels at the sport,” says Verma. Playing sports is a good way to relieve stress and depression. Sports help kids develop discipline. They learn to set goals and then work to accomplish them. They learn that by working hard, they can achieve the things that they want in their lives. Kids who ind sports speedily learn that at times, you win and lose. It helps them learn to deal with disappointment and go on. Sports help in developing teamwork and management skills. Kids quickly learn that they have to work mutually, as a team to win the game. They develop strategic goal oriented thinking; they hence channelize their mind to reach their goal. Motor skills, strategic thinking, and even math skills can be learned by playing sports. Students can develop deliberate thinking as they figure out the best way to get around a player or score a goal. Mathematical skills are used as they calculate scores and stats. Regular exercise increases value of life. Children who exercise are more likely to carry on the practice into adulthood. To be a good athlete, you have to take care of yourself. This gets you thinking about what to eat and how to treat your body to achieve peak presentation levels. It helps them figure out how to manage frustration and go on. 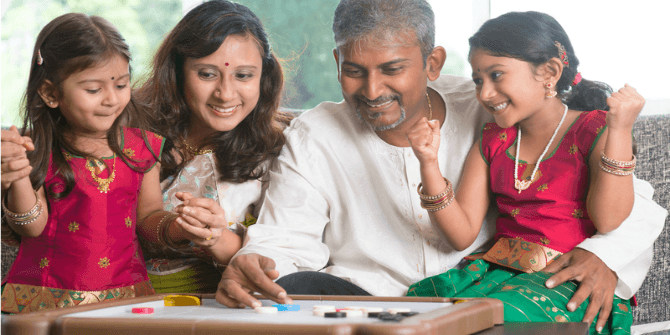 Sangeeta Vijayasimha, child specialist and parenting psychologist at ePsyClinic.com, Delhi, says that acquainting your youngster with sports is a healthy approach to keep them dynamic. She suggests these following five sports that perfectly encapsulate these benefits. Football improves coordination in using their feet to travel across the field. It’s a great workout for your child; it’s also an excellent way to build a foundation for teamwork as well. Cricket helps improve balance and concentration, flexibility, coordination with the team members, improves motor skills, social skills, muscle toning and team spirit. Kabaddi makes your body stronger and healthier, gives a fighter instinct. The chanting of the name kabaddi helps your internal organs, your heart, your lungs to become more strong and healthy. It one of the best sport which teaches stamina and speed, your muscles will certainly become much stronger and your activities more active. Tennis will also improve their balance because of all the direction changes, hence the body is forced to reach in mere seconds to hit the ball. Your child’s mental focus will also be sharpened and the concentration as to purely be on the direction of the ball. Tennis involves swift in decision-making and concentration. Basketball helps increase the strength, endurance, mobility skills and improve their hand-eye coordination improves concentration and focus. It strengthens the muscles as well. Gymnastics forms and enhances your kid’s physical abilities in a manner that it really upgrades their fitness in different games. You’ll additionally see improvements in their certainty, coordination and confidence level. Swimming burns lots of calories, anywhere from 500-650 per hour depending on how efficiently you swim. It’s relaxing, the movements are smooth and rhythmic, and it’s a great workout. Swimming helps stay in shape, and it’s even part of the rehabilitation. 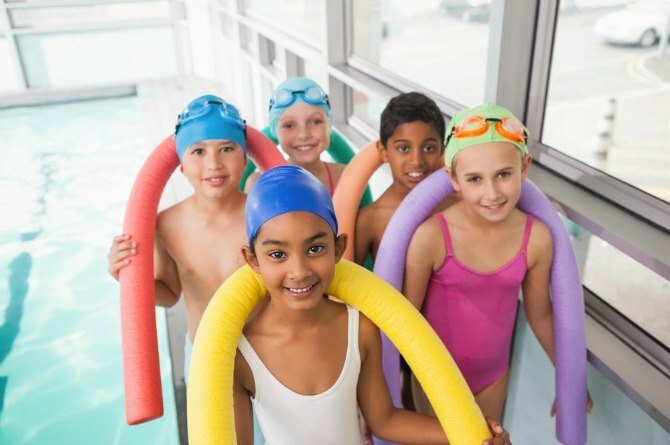 Sports for kids help create physical abilities, exercise, make new friends, have some good times, figure out how to play as an individual from a group, have a spirit, never say die attitude. The state of mind and conduct taught to kids in games persist for lifelong. It is important to remember that the attitudes and behavior taught to children in sports carry over to adult life. “Parents should help their child develop good sportsmanship. Sports for kids offer more than just physical advantages. It helps in holistic development of the child. The advantages are the same regardless of whether or not your kid really exceeds expectations at the game,” says Vijayasimha. If you have any thoughts on our article on sports for kids, please share in the Comment box below.